Merely the concept of child abuse causes shivers to run down every parent's spine. No greater nightmare exists than to imagine a child abuse situation in regards to our own children. Unfortunately in today's complicated world, the abuse of children occurs more often than anyone would prefer and is not always obvious to parents. Therefore as protectors of our children, it is necessary to become familiar with recognizing child abuse signs. Child abuse has many signs. Abuse can be mental, emotional, physical, or sexual. 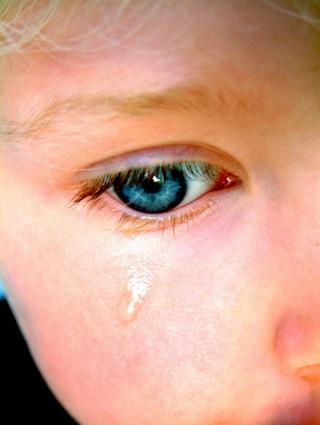 Neglect is also a form of child abuse that may be more difficult to recognize. The signs and signals may vary by age, as well as by child. In general, however, if a child exhibits some of the behaviors listed below, they may be living in an abusive situation. The following may indicate all types of abuse and neglect. Infants communicate differently than children, so the signs of abuse may be different. Adults who abuse children also display signs. Abusive adults may be parents, teachers, coaches, or other caregivers. Parents who are concerned about abuse by their child's caregivers should watch for the following behaviors. Try to talk to other adults who spend time with the child. Talk in general terms with the child. Seek assistance from a teacher or principal. If you strongly suspect abuse, report the situation to Child Protective Services. Talk with other parents or neighbors of the caregiver. Address the caregiver directly, and evaluate her reaction. Check your own feelings, do you worry about your child while at work? Trust your intuition and do not simply push strong feelings aside as normal parental worry. Concern that your child might be emotional when separated from you is normal; worrying constantly for his safety is not. Drop in unexpectedly and demand to see your child. What state is the environment and children in? Remove your child immediately from a childcare situation that appears to be uncomfortable or unsafe. Make no delay and deal with finding a new childcare plan later after you are completely sure your child is unharmed. If you truly suspect abuse, notify child protection services and the local police. Take your child to a doctor for a complete physical and make an appointment with a counselor. Communicate with your child, either through love and hugs for an infant or talking with an older toddler or child. Believe what they tell you, and listen with your heart.